PouchDB brings CouchDB-style power into the browser and allows you to replicate data from a remote source in the browser and then sync it with a backend while online. Bloom filters are probabilistic data structures that trade precision for efficiency. Bloomd is a high performance C server that exposes bloom filters and their operations to networked clients. Just because Redis is easy to setup and run doesn’t mean that complications do not exist when you try to scale the technology. 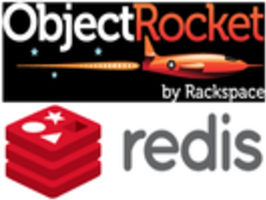 Using the same principles we apply to our fully-managed MongoDB service, ObjectRocket now offers full automation, support and management of Redis so developers can focus on their applications and not maintaining their databases. Sign up for a free trial. Allows for SQL-like queries on semi-structured data (i.e. JSON files) and uses the speedy Hekaton in-memory engine as used in SQL Server 2014. Includes libraries for .NET, Node, and Python. Docker is a platform for creating and deploying containers on Linux systems, and it’s possible to put a MongoDB instance into a container. A fun project that aims to showcase the always on, fault tolerant nature of Cassandra. Anybody can take down an entire ‘data center’ in the setup by pressing a big red button in DataStax’s lobby. Look at your schema, optimize your indexes, get ready for sharding, enable high availability, and more.